Opossums are likely to carry ecto-parasites such as ticks and fleas which can spread a plethora of diseases. One of these diseases is Murine typhus. Opossums damage duct work, insulation, and the structure of the home itself. They have 50 teeth which can produce a nasty bite when encountered or threatened. Do not attempt to trap them yourself! Opossums are extremely dangerous and should only be handled by an Xceptional wildlife biologist. 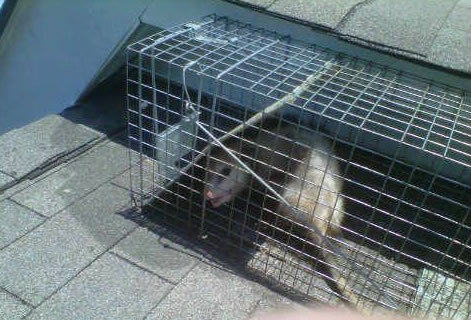 Why you shouldn't try to handle your opossum problem yourself? Opossums can weigh up to 20 pounds and their prehensile tail makes them very adapt to climbing. They can be extremely difficult to trap and exclude from your home. Unsuccessful removal attempts may result in the animal becoming trap shy, making future attempt more difficult. 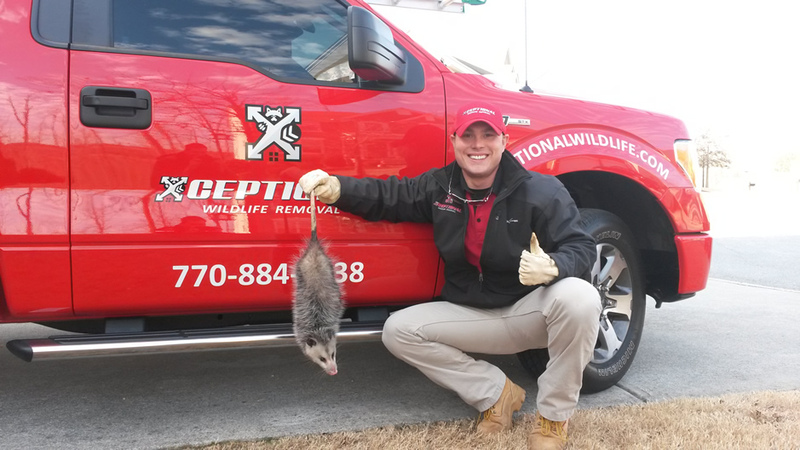 Opossums are dangerous, and need to be handled by a licensed professional. Opossums are the only marsupial found in North America. They carry developed young in an external pouch. Opossums can have up to 25 babies, in different development stages, at one time and can breed year round in temperate areas. At 4 months old the young begin leaving the mother and forage on their own. Their diet includes fruits, insects, snails, snakes, mice, rats, frogs, carrion, pet food, bird seed, and garbage. Because they have very little body fat they must constantly forage. Much of their interaction with humans is caused by their search for food or shelter. It's not uncommon for a homeowner to find out they unknowingly have a problem with rodents or snakes after they discover a raccoon problem. They may invade your home in search of food or shelter to care for young.